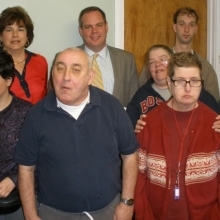 CBDS and Day Hab participants gather to hear the speakers and to add support to advocacy efforts. 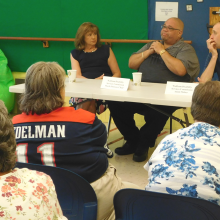 Our annual Legislative/City Leaders Forum welcomed guest speakers (pictured left to right) Bob Marcou, Jeannette McCarthy, Roz Rubin, and Jonathan Hecht. 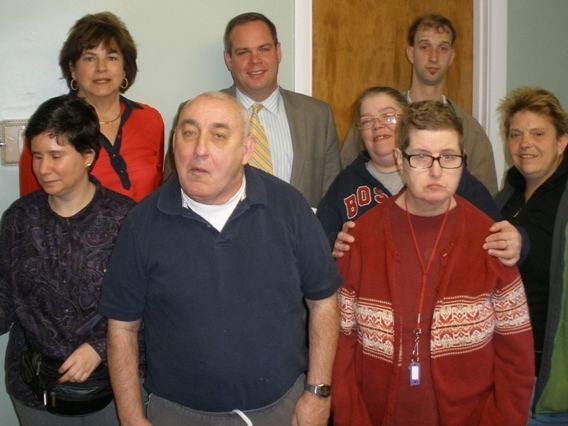 Thanks to Mark Johnson, chairperson of the Waltham Disability Services Commission (above center), and Adam Maher, Commission member, who visited Opportunities for Inclusion in June to talk about what they do to make Waltham as accessible as possible for people with disabilities. 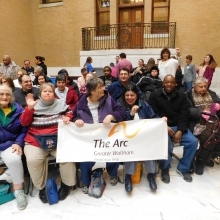 GWArc CEO, Roz Rubin, posing at the State House with several of our participants. 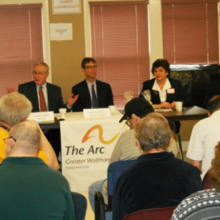 GWArc hosted its City Leaders Forum on Tuesday, April 12 We welcomed panelists to our Chestnut Street site to discuss their work and answer questions from participants. 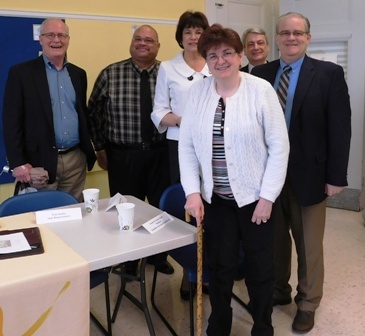 L-R: State Senator Mike Barrett, Chairperson of the Disability Services Commission Mark Johnson, GWArc CEO Roz Rubin, Member of the Disability Services Commission Joann D'Amico Stone, Ward 8 City Councilor Stephen Rourke and State Representative Tom Stanley. 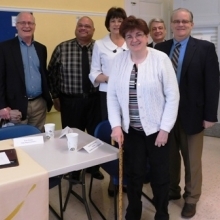 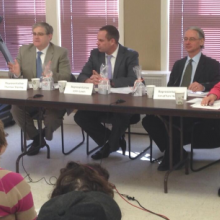 City Leaders Forum 2016 (l-r): State Senator Mike Barrett, Disability Services Commission Chairman Mark Johnson, Councilor Stephen Rourke, State Representative Tom Stanley and Disability Services Commission Member Joann D'Amico Stone. 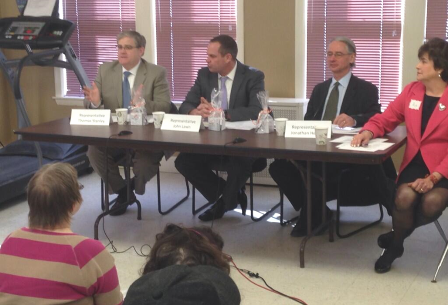 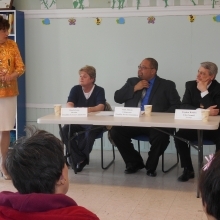 State Senator Mike Barrett (left) makes a point at the Legislative Town Meeting held January 31 at Woodland Road. 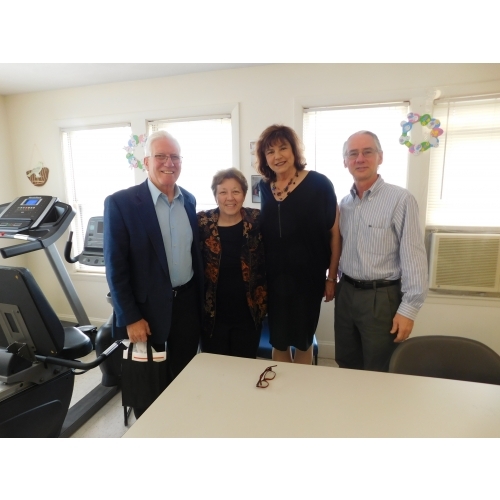 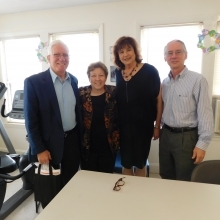 Also pictured (l to r) are State Senator William Brownsberger, Roz Rubin and Kevin Larrivee, Legislative Director for Senator Barrett. 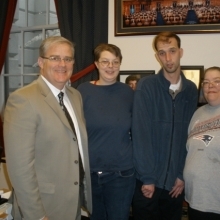 Representative Thomas Stanley (left) meets with (l to r) Kristina Smith, Adam Maher and Ruth Powers in his office at the Massachusetts State House. 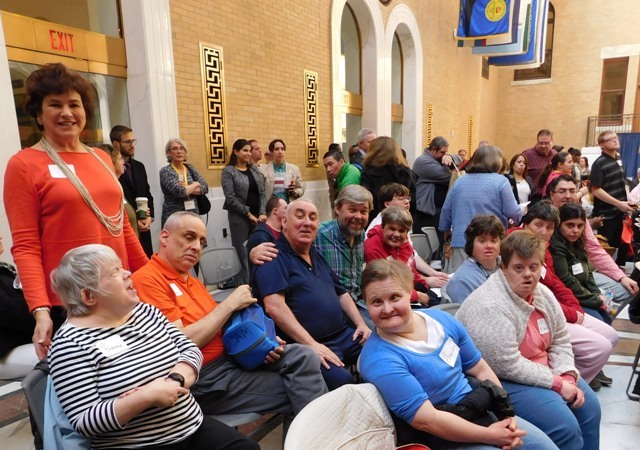 Roz Rubin and GWArc participant, Joe O'Connell, met with Representative Jonathan Hecht in his office at the Massachusetts State House recently to discuss the "Real Lives" bill. 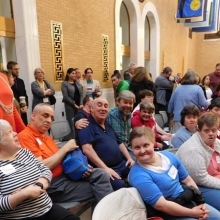 This bill will improve the delivery of support services for individuals with intellectual and developmental disabilities and their family members. 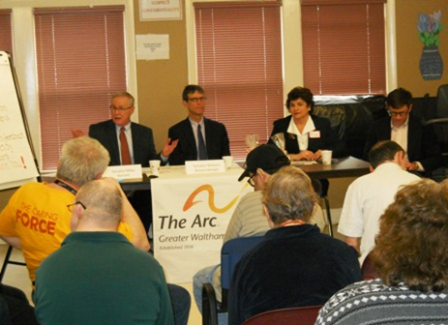 Left to right, State Representatives Tom Stanley, John Lawn and Jonathan Hecht join Roz Rubin at a Legislative Town Meeting with GWArc program participants at GWArc's EPT site at 31 Woodland Rd. 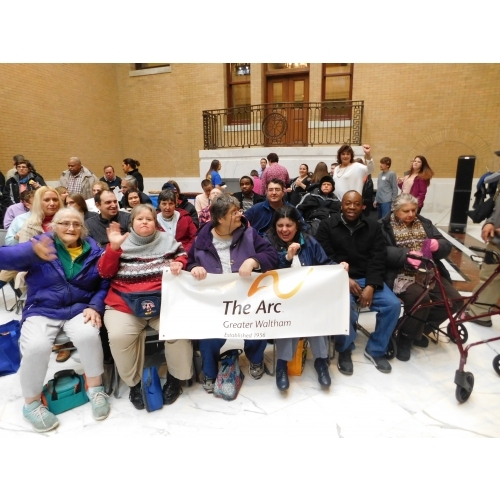 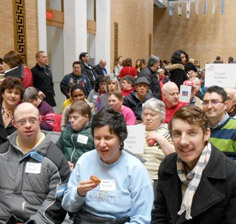 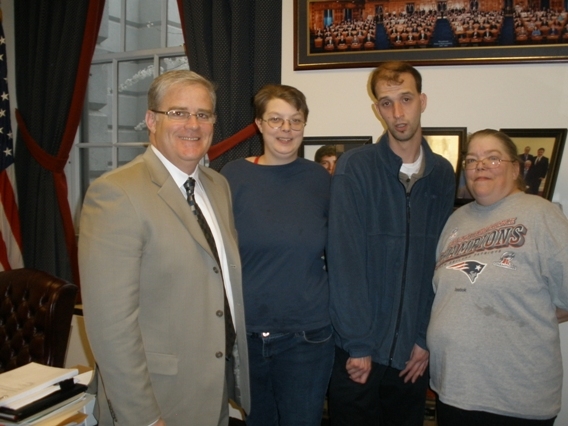 GWArc participants visit State House in March for Arc of Massachusetts Legislative Day. 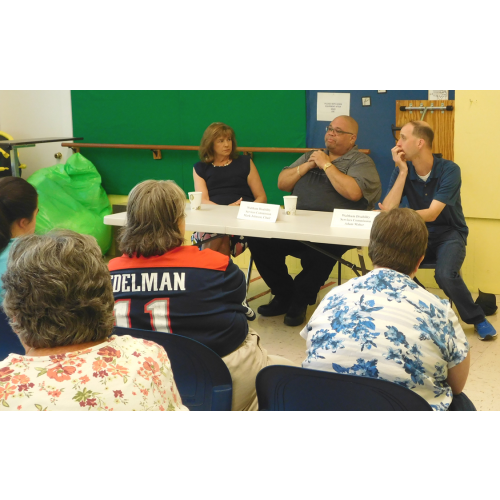 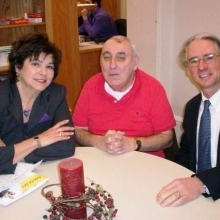 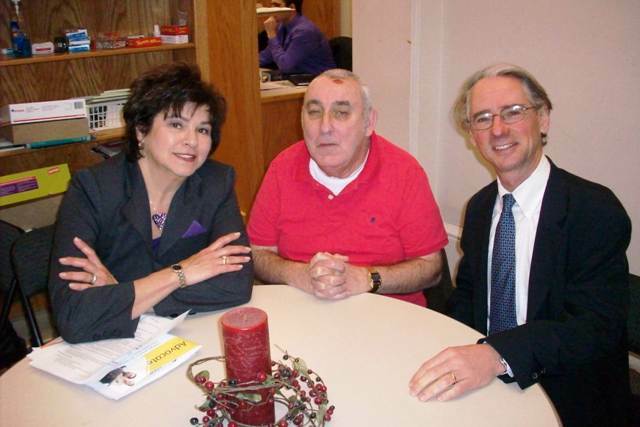 GWArc hosted Pamela Jones and Mark Johnson of the Waltham Disability Services Commission as well as City Councilor Stephen Rourke for a City Leaders Forum.